Talbot Car Manual PDF above the page. About the once quite famous cars Talbot now very few people know. This brand, although never a legendary one, still played a role in automotive history. The company was founded in 1902 in London, with the financial support of Lord Shrewsbury Charles Chetwynd-Talbot. Initially, it was, in fact, something like the English division of the French automaker Clement. 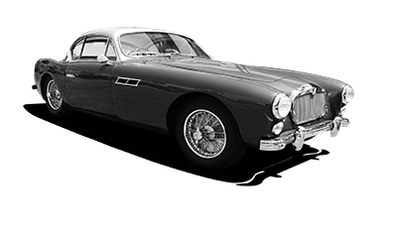 For some time the British simply produced other people's models, under the brand Clement-Talbot. However, after a while the company becomes completely independent of Clement, starting to produce cars of its own design, but the dual name remains until 1914. It is believed that those years were among the most interesting in the history of the brand, the fate of which turned out to be very difficult in the future. Interesting at least that in the period from 1905 to 1919 Talbot was completely independent. In 1919, in the First World War, the only son of Lord Charles died. The founder of the company loses all interest in business and sells its company to the French - the company Darracq. So there is Darracq-Talbot, which in 1920 merges with the English Sunbeam. As a result of the last merger, the Sunbeam-Talbot-Darracq group or simply STD is obtained. But in this incarnation Talbot did not last long. In 1936, STD is absorbed by the English manufacturer Rootes Group. Until 1967, the Talbot brand is "more alive than dead". New models under it are produced, somehow sluggishly, among them there are no outstanding ones. Instead of luxurious (which cost only one Talbot T150) and sports models that once won in sports, they produce rather sluggish and not very remarkable samples. By that time, Rootes is beginning to experience serious financial problems and is being absorbed by the American manufacturer Chrysler (Manuals page), which does not even think of singling out Talbot. The dull period of the brand continues. In 1978, Chrysler, experiencing not the best of times, sells its European branches Peugeot SA (Manual page). The French decided to try to revive the brand, pulling it out of the atmosphere of despondency around it. As a result, several new models were released, which did not become successful enough. In 1985, their production ceases, and not yet sold out copies are renamed into Peugeot-Talbot. On sale, they remained until 1986, after which Talbot finally ceased to exist.